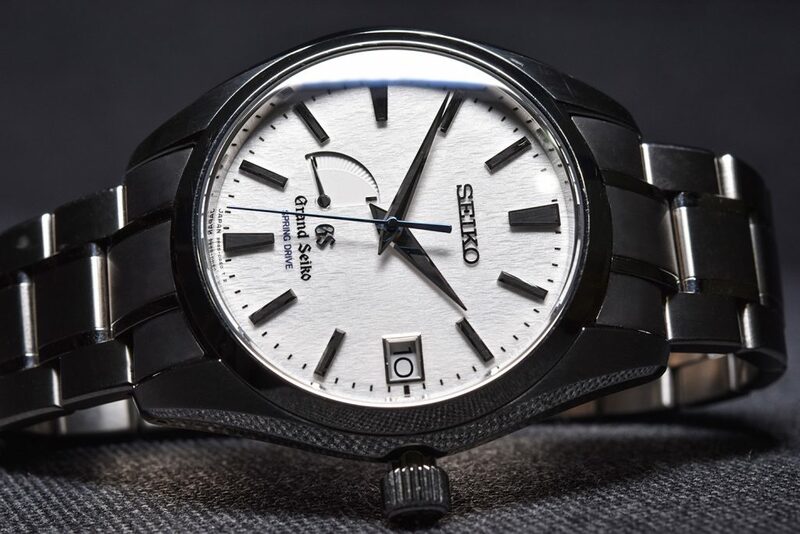 This watch needs no introduction, it is one of the most well known modern Grand Seikos out there. 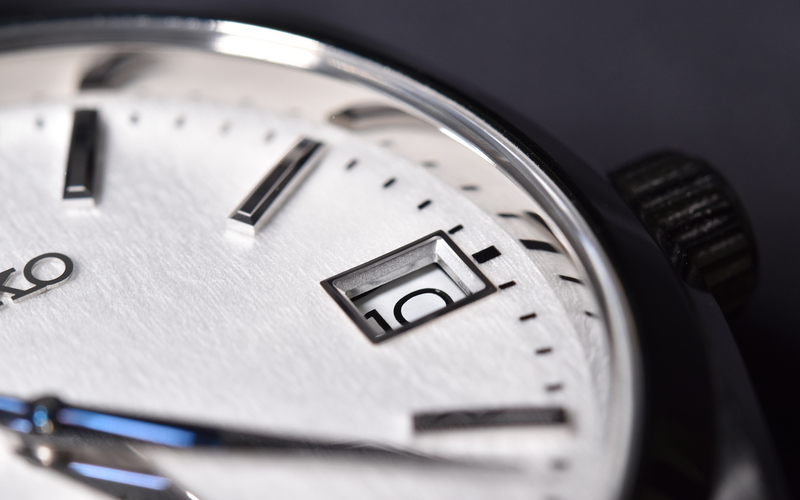 The dial is probably as intricate as it gets. 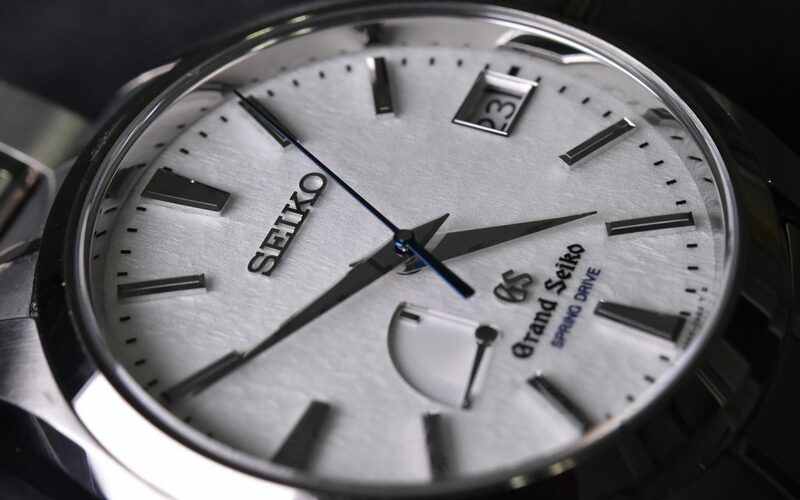 The Snowflake is a fan favorite since its 2010 release, and it is by now (rightly so) the most iconic Grand Seiko release to date. 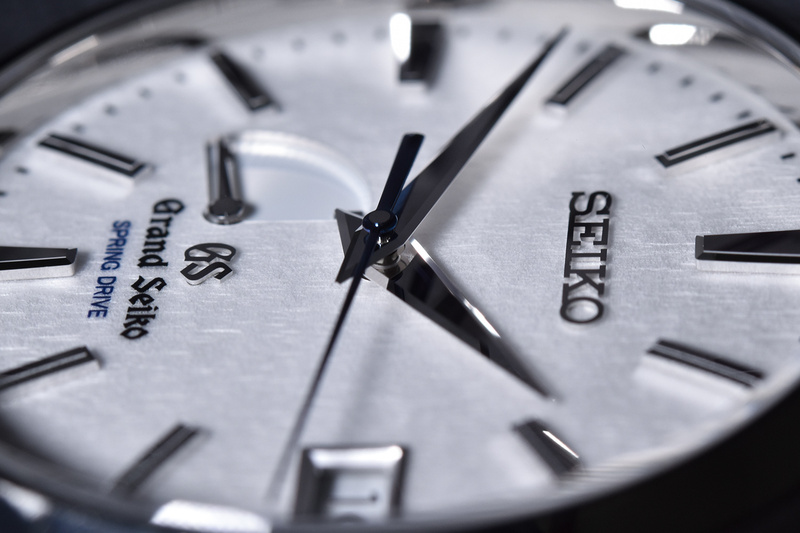 Note that this watch is now also available in reference SBGA211 (the new Grand Seiko dials, removing ‘SEIKO’ from the top). This review covers the original version, as that happens to be the watch I’ve been wearing for nearly two years now. 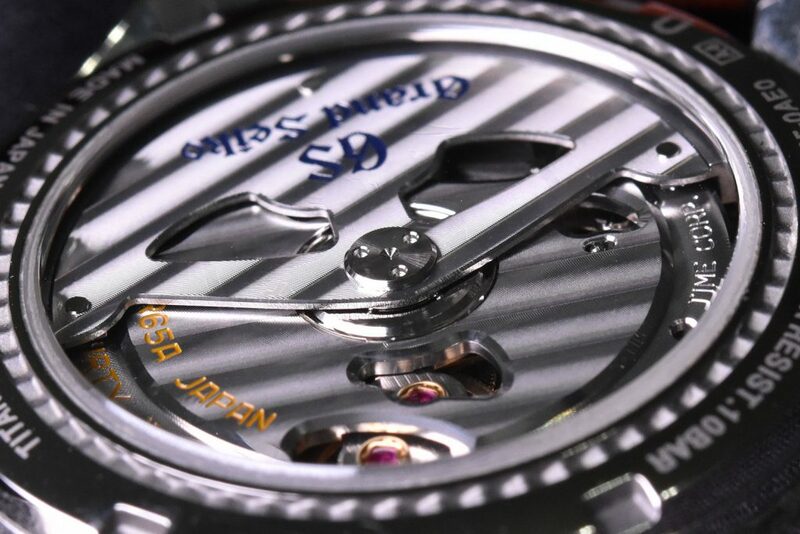 The SBGA211 is pretty much identical except for the different writing on the dial. Note: The watch under review is mine and is a well worn watch, terribly difficult to switch to another watch with this one in rotation. Please excuse the scratches, c’est la vie! Let me begin by stating that after 20 months of owning this, I would say this is probably the most worn watch in my ever expanding collection. I was drawn in by the dial and the blued seconds hand at first. Now that I have learned much more about the craftsmanship of GS, I will break it down below. The case is made with a high grade titanium with zaratzu polishing and brushed surfaces. 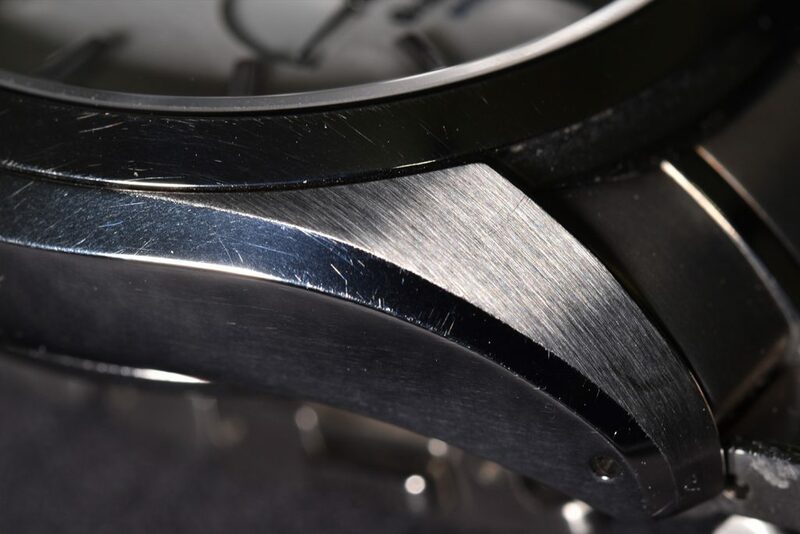 You can see in the photo, how the bevel is brushed but the side and lugs are polished to the fine zaratzu polishing, which has a mirror effect. 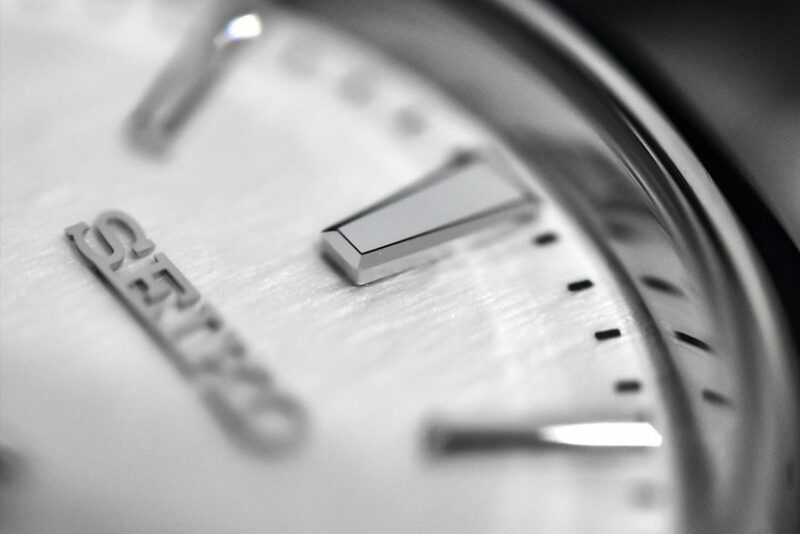 As you can see there have been some marks on the case from the macro lens shot. However, these are not present during day to day, only visible when shot using the macro lens, so do not be alarmed! 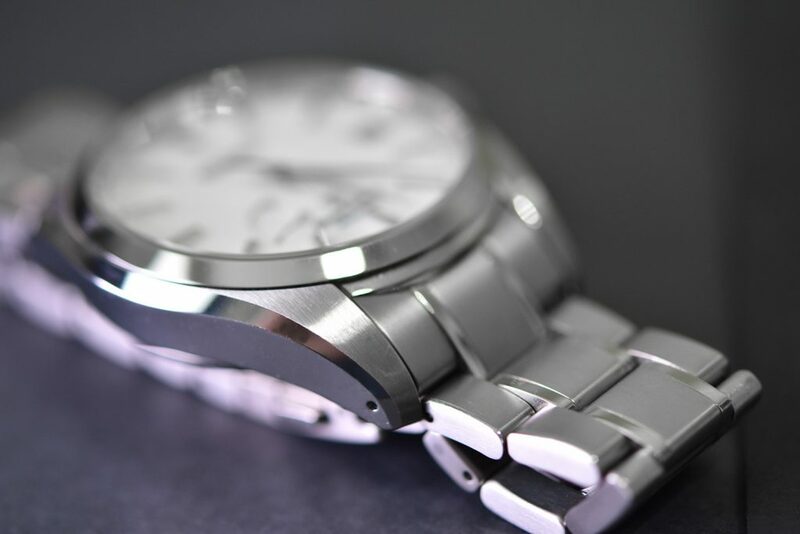 With the watch being in a titanium case, it is very comfortable on the wrist. My good friend who knows I’m into watches tried this one on, and forgot to take it off, until he and I were about to part ways, and this is when he realized how comfortable it is due to the weight. 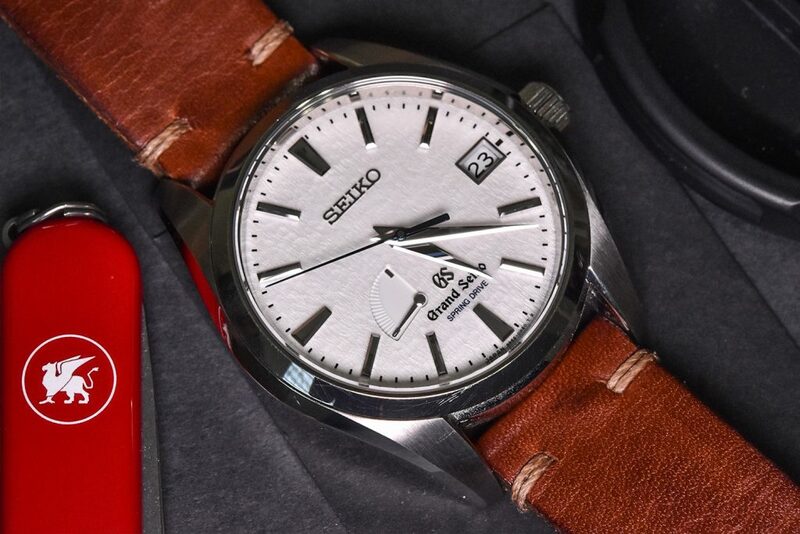 While Grand Seiko is known for their samurai sword sharp hands and detailed applied indexes, the dial of the Snowflake sets itself apart from all other GS in my opinion. Created to imitate Shizuoka-Shi, it looks just like snow from the top of the watch and some angles, feels like shaved ice! 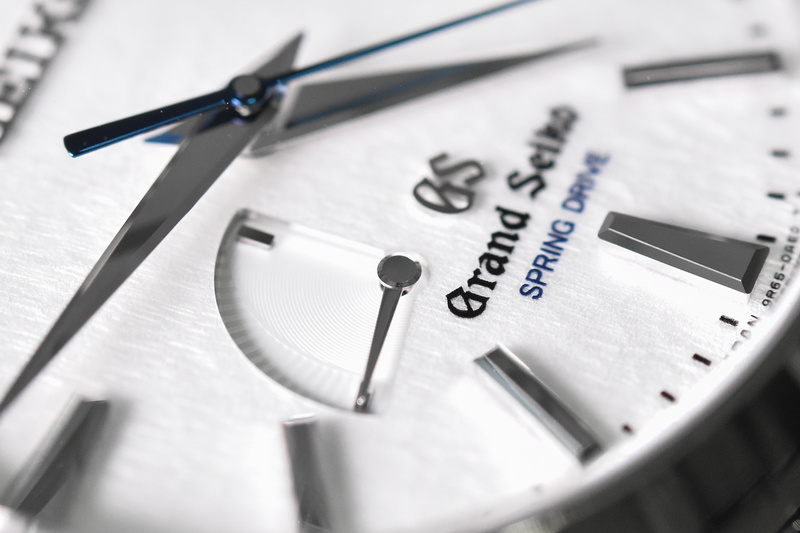 The finishing is what we all love and know Grand Seiko for. 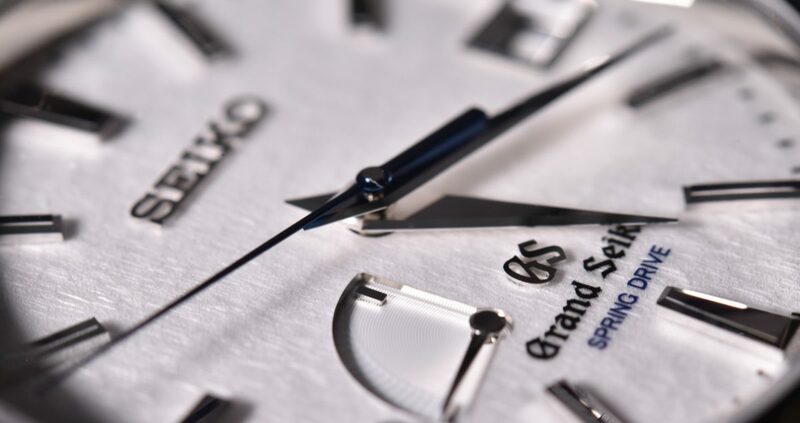 The hands & the indexes are further proof to Grand Seiko’s exceptional finishing. 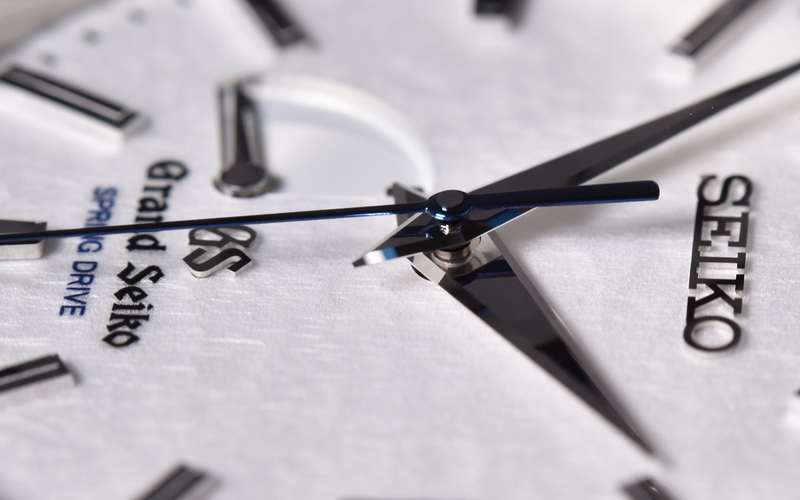 The thick hour and minute hands are hand polished and have the bevelling effects as shown in the picture. Also the polishing is so smooth, it feels like it is an mirror. Moving on to the indexes, they are also polished with the edges. 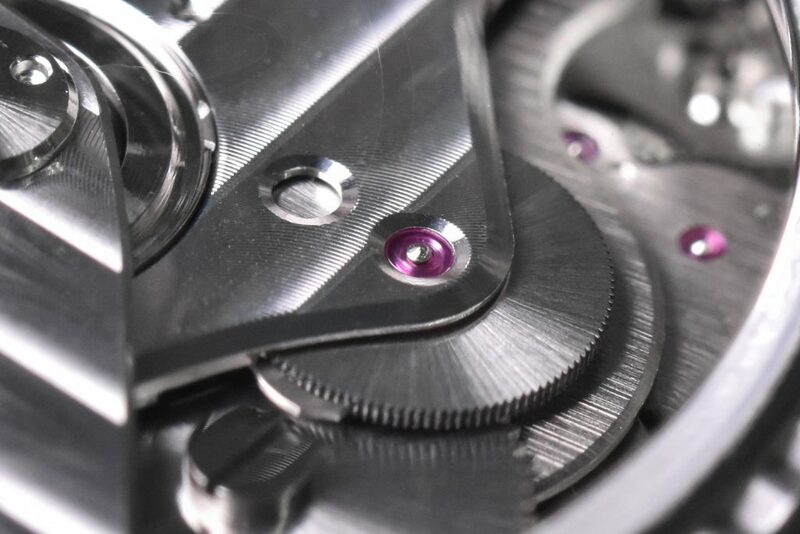 As you can see in these pictures, there are multiple angles in each of the indexes besides smooth polish. Before we get to the nitty gritty, let’s just say that the spring drive sweep is the smoothest there is, even a hi beat cannot be smoother due to the design. Now, the one big issue I had, was the rotor is louder than I expected when I first bought it, but over time, the magic lever won me over with it’s quick power up. It can be almost out of power and if I put the watch on my right wrist and brush my teeth with it, it can be back to over 50% power. The rotor is a bit louder than my Tudor Black Bay and Pelagos, which was more of a surprise than anything else. For the sake of comparison, my snowflake is also louder than my Omega Seamaster with the master coaxial movement. However, the movement is well decorated. As I discovered taking close up macros for this review, it has some nicely done anglage and 3D effect from different angles. I think the bracelet is great, it has 4 fine adjustment pieces and the larger pieces to tailor to your wrist. And you can see the frosted GS on the clasp. It wears well overall, but given my love of straps, the watch is rarely seen on the bracelet. As aforementioned, the watch is also a leather strap monster and despite the fact that It is rated to be 100 meters water resistant it just feels wrong for me to bring this to the gym or swimming in ocean and wearing a NATO with it. The Snowflake is unique and worthy of its praise. The finishing in this price range outclasses pretty much everyone else in its category. The Springdrive is a joy to behold and I have yet to grow tired of it (safe to say, I never will). 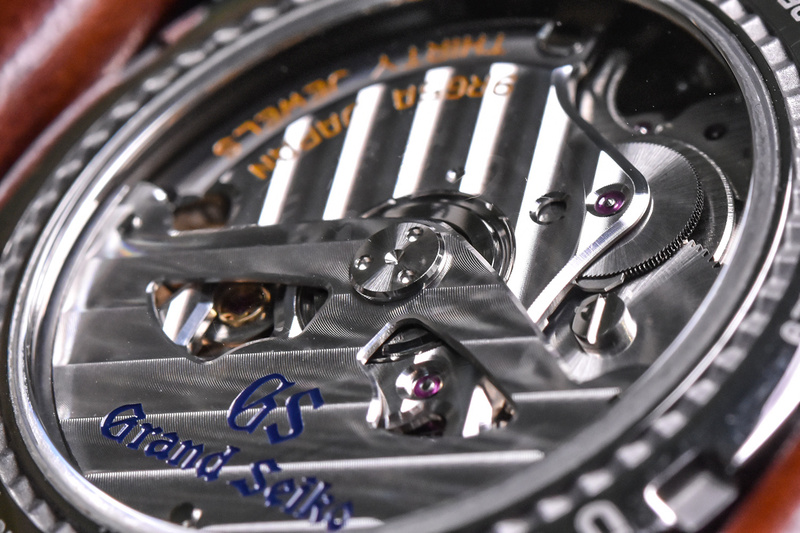 This review covered my well worn and trusty SBGA011, of course you can also get the Snowflake today with the new Grand Seiko dials as the SBGA211. Be warned, once you give this one a try, it’s hard to resist taking it home. Oh boy, what a beautiful work of art that is. 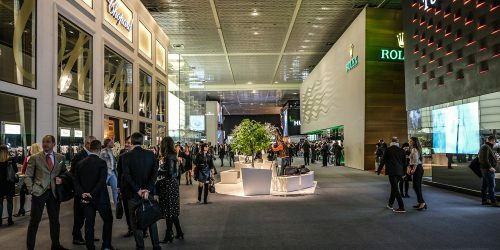 Jeff, stop posting about Grand Seiko, they’ll keep raising prices if you do! 🙂 Great review and macros, thank you! I really enjoyed your take on this watch, I know how much you like yours! 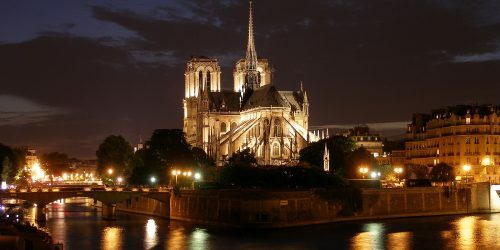 Pictures are stunning too, superb! An icon! Love the detailed macro photography.